How to Import and Edit GoPro Hero5 4K MP4 to FCP X/7/6 on Mac? GoPro Hero 5 Black action camera can be taken to the skies, over rough terrain, and even underwater without flinching, recording 4K videos and 12MP photos along the way. The sealed rubberized chassis allows the Hero 5 Black to be taken to depths of 33′ without the need for an external housing. So whether your escapades take you to the lands of concrete, sand, dirt, snow, or water, the Hero 5 Black is prepared to record with a single button press. Once you have finished recording, use the touchscreen to playback and even edit your footage right on the camera. Will we have to transcode GoPro Hero5 4K MP4 into another codec to be able to work in FCP X/7/6? GoPro MP4 file type is a compressed output format and not an ideal editing format. What’s more, it also would be a bit hard to handle 4K video with Final Cut Pro 7. To edit Hero5 footage in FCP X/7/6 smoothly, a suggestion is to use UFUWare Video Converter for Mac to transcode GoPro Hero5 MP4 to ProRes, which is a friendly format supported by FCP. 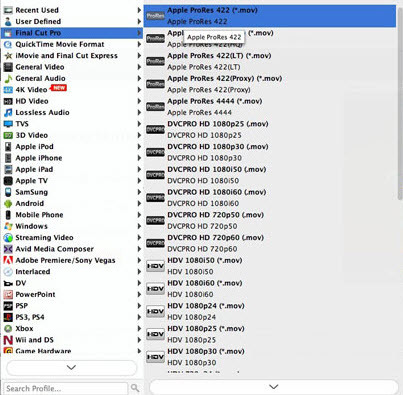 With the best GoPro video converter for Mac, you can effortlessly encode/re-encode 4K MP4 from GoPro Hero5 for smoothly importing and editing in various non-linear editing systems (NLE), including Final Cut Pro X, FCP 6/7, iMovie, Final Cut Express, Adobe Premiere Pro, Avid Media Composer, etc. STEP 1: Launch UFUWare GoPro 4K MP4 to FCP Converter and then click the adding button to import your GoPro Hero5 4K mp4 files. STEP 3: Before you convert files from GoPro Hero 5 to FCP X, you can click “Settings” button on the main interface, and then you can change the resolution, bitrate, frame rate, etc. it is very easy to adjust these parameters. 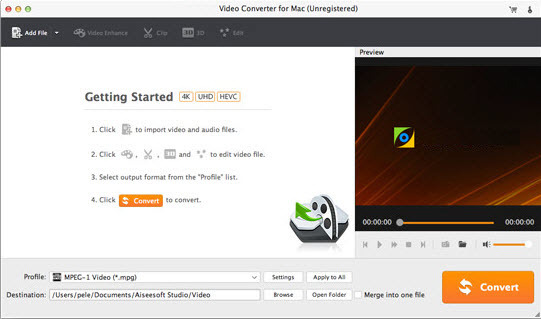 STEP 4: Click convert button to start converting videos from GoPro Hero 5 to FCP X/7/6, UFUWare Video Converter for Mac will begin the conversion immediately. When the 4K MP4 to ProRes conversion is 100% completed, you can get the resulted MP4 video via hitting on Open button. Moment later, you can upload GoPro Hero5 4K MP4 files to FCP X/7/6 with easy editing.